Charity Anderson is Assistant Professor of Philosophy at Baylor University. 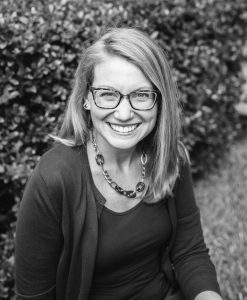 She also serves as the associate director Baylor Center on Christian Philosophy at ISR (BCCP). Her research spans epistemology and philosophy of religion, with a focus on topics related to pragmatic encroachment, fallibilism, epistemic closure, evidence, and knowledge-norms. She has recently written on the topic of divine hiddenness and Hume’s argument concerning the rationality of trusting miracle reports. Charity came to Baylor in 2014, after a Postdoctoral Research Fellowship at Oxford University with the New Insights and Directions in Epistemology Project, let by John Hawthorne. She completed her graduate studies at Saint Louis University. Her a dissertation in epistemology was titled ‘Why I Know I will Lose the Lottery: A Defense of Stable Fallibilism”.